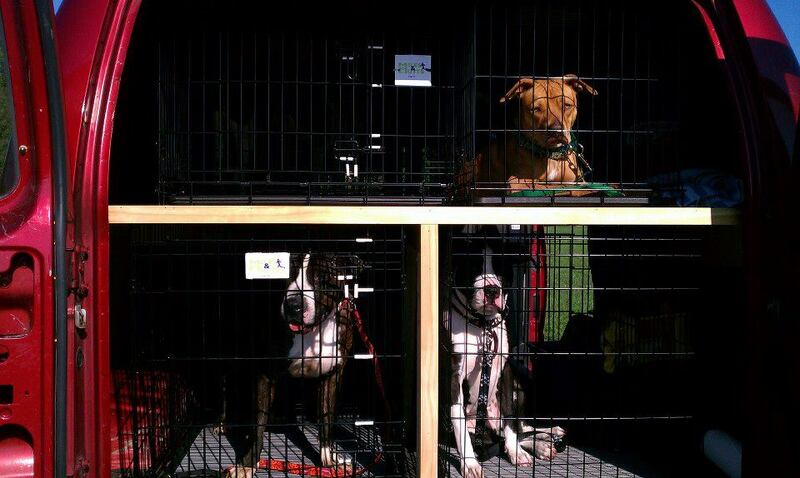 October is Adopt-a-Shelter-Dog month. 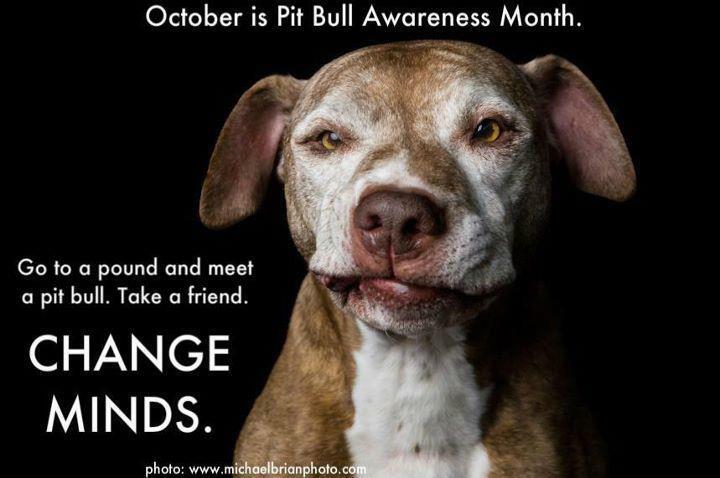 It’s also Pit Bull Awareness Month with October 27th being National Pit Bull Awareness Day. 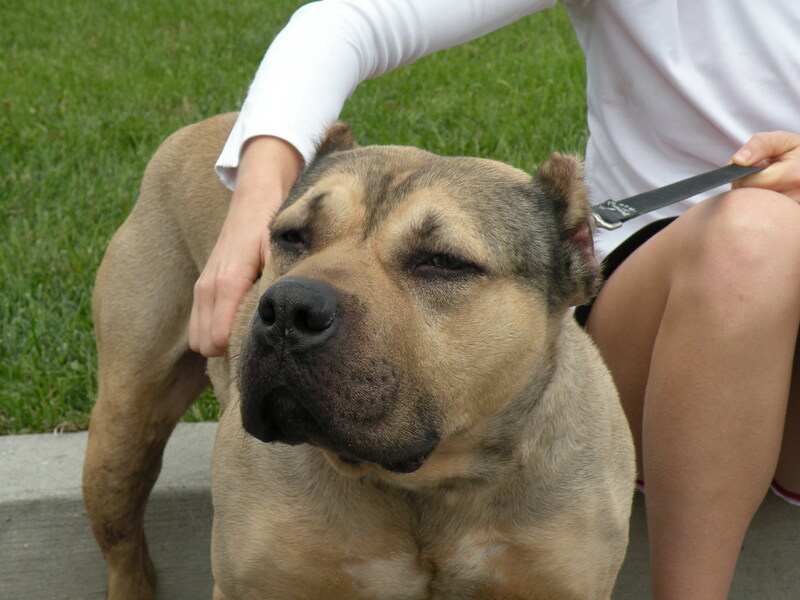 The Miles and Mutts running pack consists of several bully breeds and bully breed mixes. One of our favorites, Trinket, was recently adopted. But, there are still plenty more in the shelter waiting for a home. 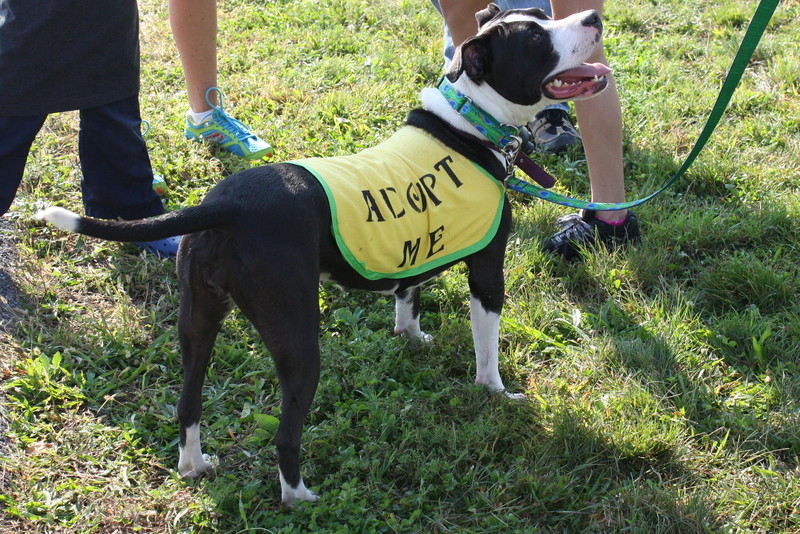 So, come out, join us for a run or take part in the Better Days Animal League Zumbathon on October 27th – see the joy you can receive by spending time with a shelter dog, pit bull or other bully breed. Yay for Trinket!! I hope you will continue to post about the dogs you run w/ that get adopted. I love happy endings! Pit bulls are such nice dogs. I never understood the fear of them. Their anatomy, I guess, but they are such naturally nice dogs. There are plenty of other breeds I’m way more afraid of (like Pomeranians LOL). Love this post, Abbi. Thanks for raising awareness! Imagine how skimpy the running pack would be without our bullies! Great post! I have to say I’m probably a little guilty of judging bully breeds. When I see them the first time I’m more careful compared to other breeds. So happy one dog got adopted! !